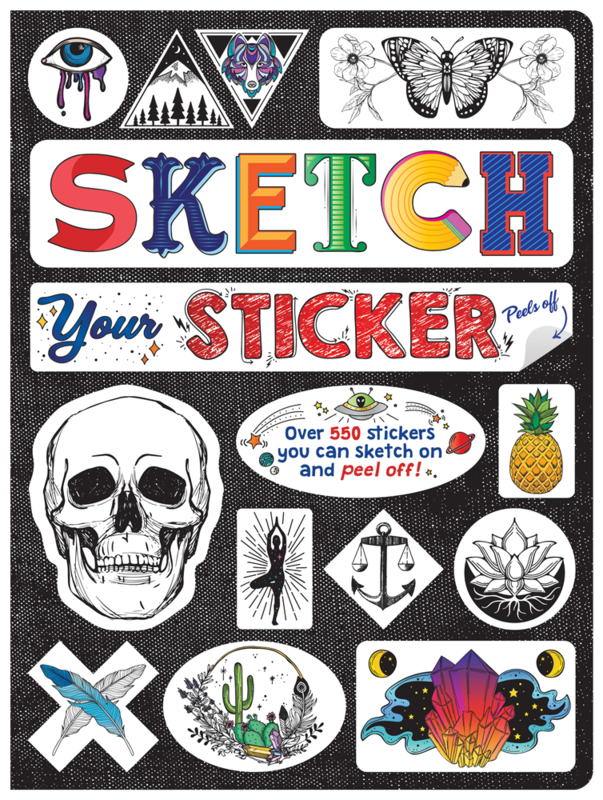 In our Sketch by Sticker sketchbook, you are the creator of your very own customized stickers. 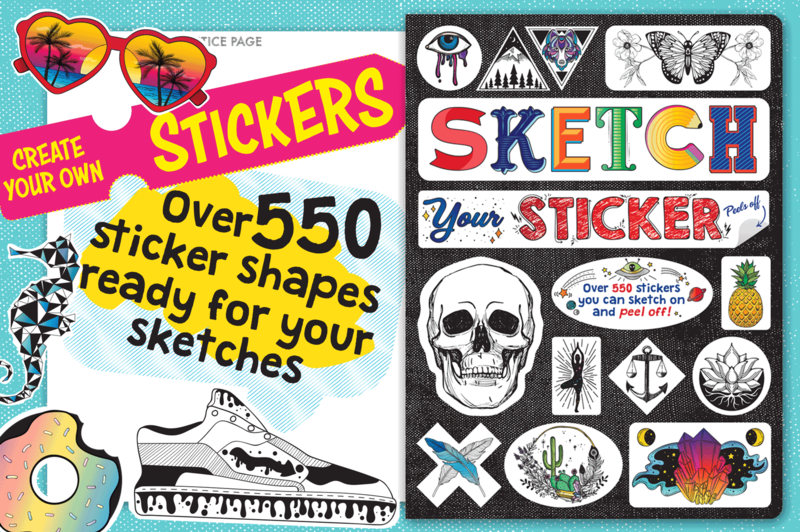 Inside you will find over 550 removable die-cut stickers in a variety of basic and complex shapes–ready for you to sketch on and peel off. 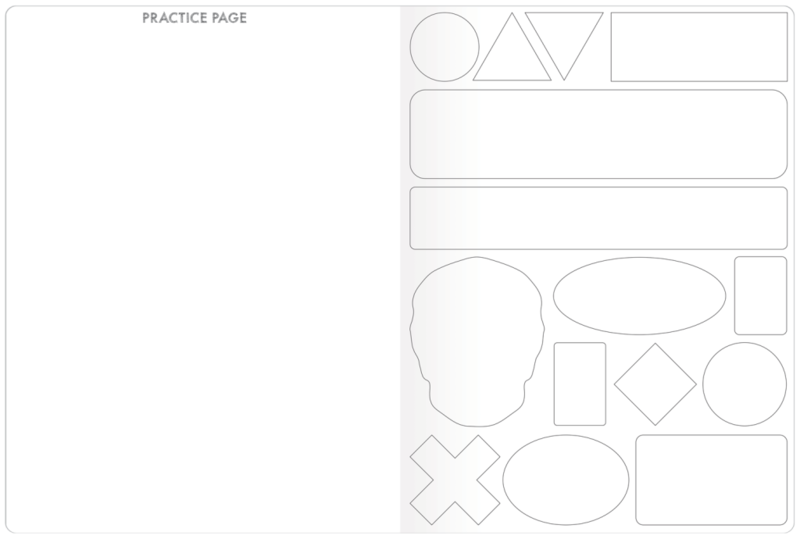 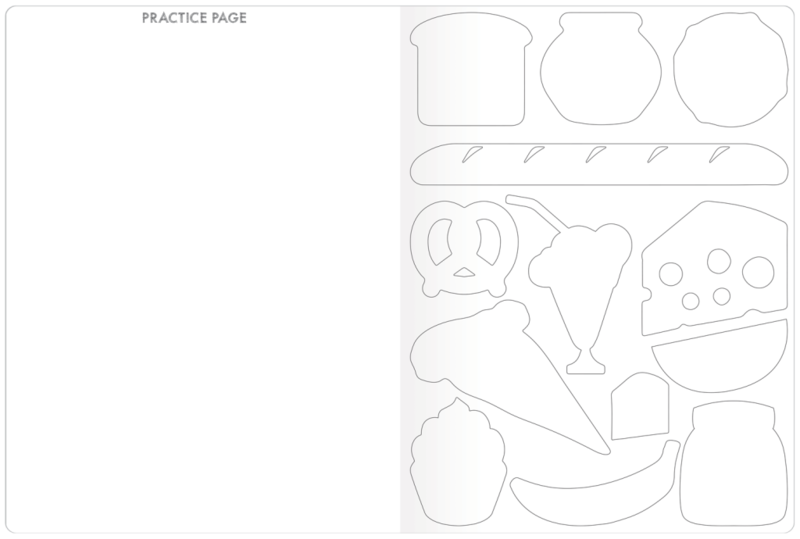 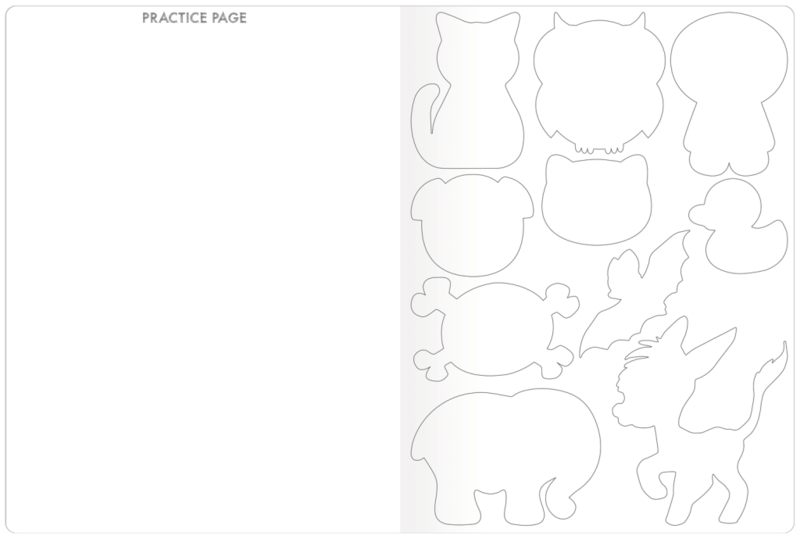 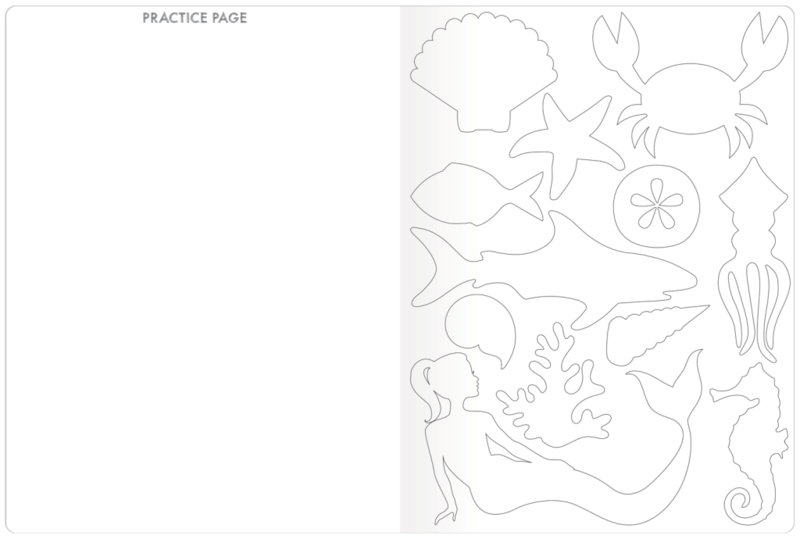 On the back of the sticker page is a practice page where you can sketch out ideas and styles before filling out the sticker.